The X-ray Telescope (XRT) aboard the Hinode satellite is a grazing incidence X-ray imager equipped with a 2048×2048 CCD. The XRT has 1 arcsec pixels with a wide field of view of 34×34 arcmin. It is sensitive to plasmas with a wide temperature range from < 1 to 30 MK, allowing us to obtain TRACE-like low-temperature images as well as Yohkoh/SXT-like high-temperature images. The spacecraft Mission Data Processor (MDP) controls the XRT through sequence tables with versatile autonomous functions such as exposure control, region-of-interest tracking, flare detection, and flare location identification. Data are compressed either with DPCM or JPEG, depending on the purpose. This results in higher cadence and/or wider field of view for a given telemetry bandwidth. With a focus adjust mechanism, a higher resolution of Gaussian focus may be available on-axis. 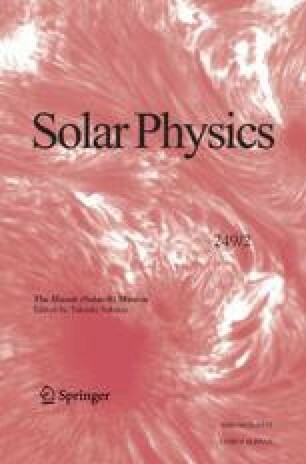 This paper follows the first instrument paper for the XRT (Golub et al., Solar Phys. 243, 63, 2007) and discusses the design and measured performance of the X-ray CCD camera for the XRT and its control system with the MDP.